My earlier post on gourmet peanut butter sandwiches only scratched the surface. At the suggestion of a friend and reader, I have been experimenting with adding smoked meats to peanut butter sandwiches. 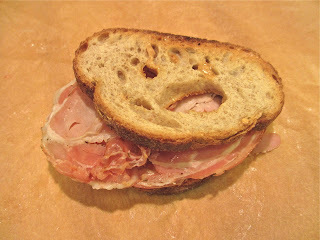 Thumbs up to peanut butter and crisped prosciutto (a minute or two in the microwave), peanut butter and bacon (even better with bananas) and peanut butter and sliced porchetta (like prosciutto, with a minute or two in the microwave). 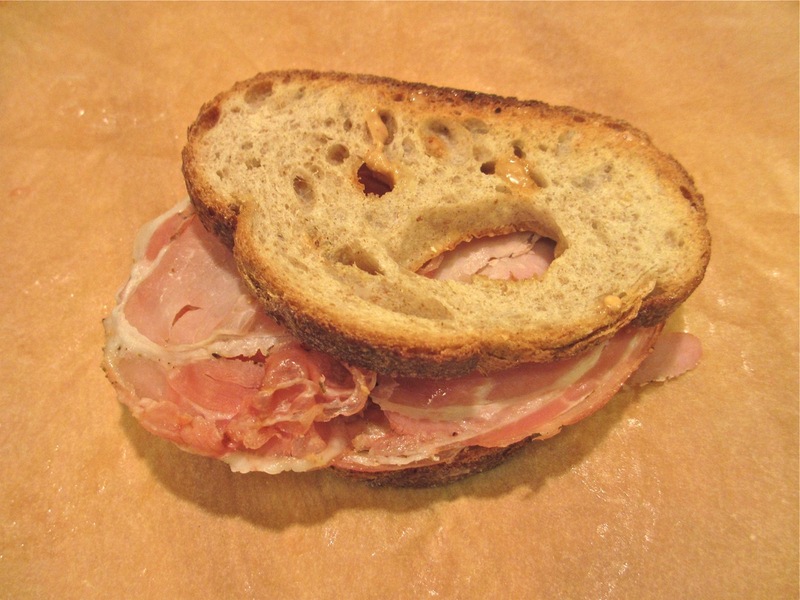 Still to try: pb and regular ham and pb with salami. 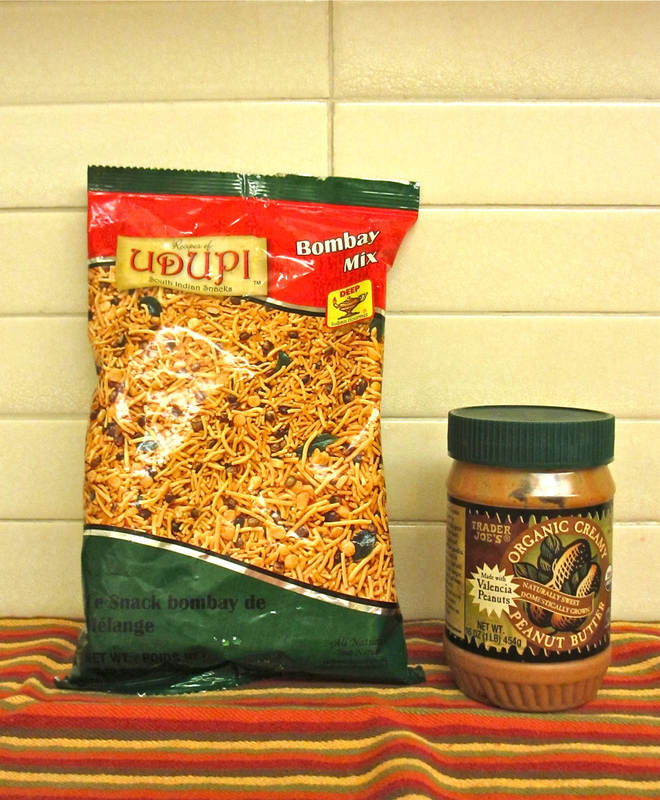 Also, it occurred to me to create fantastic chunky peanut butter by combining it with Indian snacks, like Bombay mix (pictured), Navrattan or other mixes, which consist of various combinations of peanuts, noodles, lentils, chickpeas, etc. with differing spice mixtures. This was an inspired thought: the two complement each other perfectly from a taste perspective and the fresh crunch added by sprinkling the mix over the peanut butter is striking. The spicy mixes can be found where Indian ingredients are sold, for example at Kalustyans and Dual Specialty Store. Another group of additions that I inadvertently omitted from my earlier pb post is seeds. Sunflower, pumpkin and sesame seeds add texture and complementary flavors, not to mention healthful anti-oxidants. Peanut butter on rye toast with toasted pumpkin seeds (pepitas) is a perfect combination. 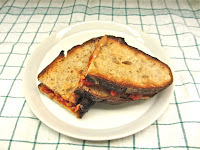 I had the tail end of a jar oil-soaked sun-dried tomatoes and a homemade bread lying around. 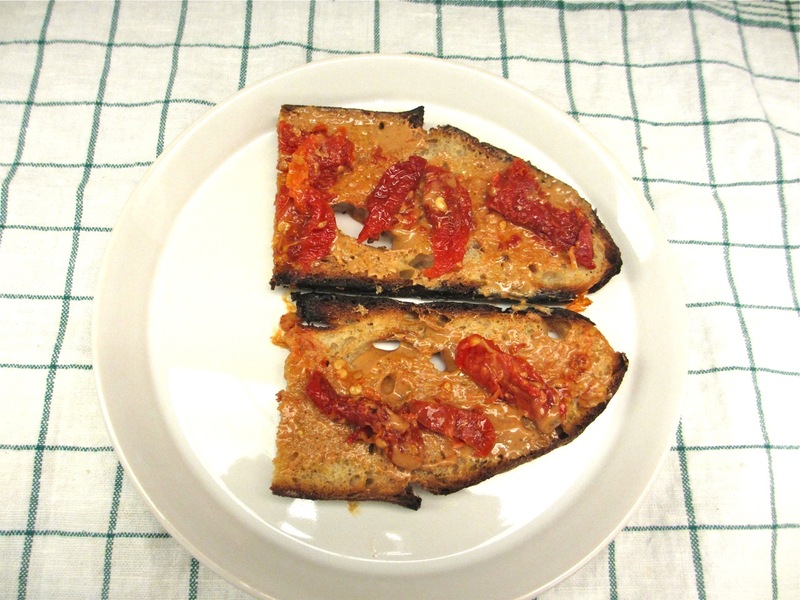 Toasted the bread, added peanut butter, some tomatoes and spicy, vinegary Sambal Oelek, and voilà! Knowing the affinity between peanut butter and garlic and salty things, I tried pb and kimchee. Awful. But other Asian ingredients will no doubt work; just think of satay. An avenue for further research. 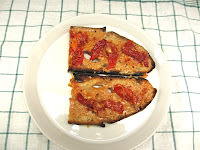 I hope readers will share other ideas for this most versatile of ingredients.